Handling and distribution of booklets is time-consuming. However this process can be streamlined by using a SquareSpine Module such as the SDD SFM7714. 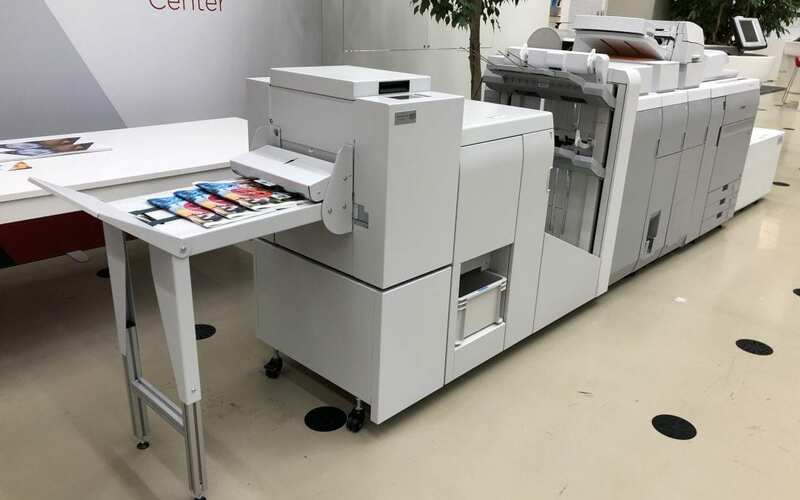 By attaching this module to a Canon Booklet Finisher equipped with D1 or F1 Trimmer, the handling process is not only made easier but the final booklet product is far superior. So, how is that possible? Well, the SDD SquareSpine Module flattens the spine of the booklet, turning it into a professional-looking item… with the appearance of a book. Furthermore, this offers additional opportunities: printing on the spine now becomes a possibility… just like a book! So, that opens up a whole new world of options with regards to booklet making! Ending up with booklets which look more like books is a real benefit: enhanced appearance really does make a difference! And, flat booklets are much quicker and simpler to handle and distribute as they can be packed far easier. SDD’s range of finishing modules really do add that professional finishing touch. All in all, you’ll wonder why you didn’t get an SDD SquareSpine Module years ago!